Lower your disk into the water until you can't see it any longer. Make sure you take note of how much rope you've lowered into the water. 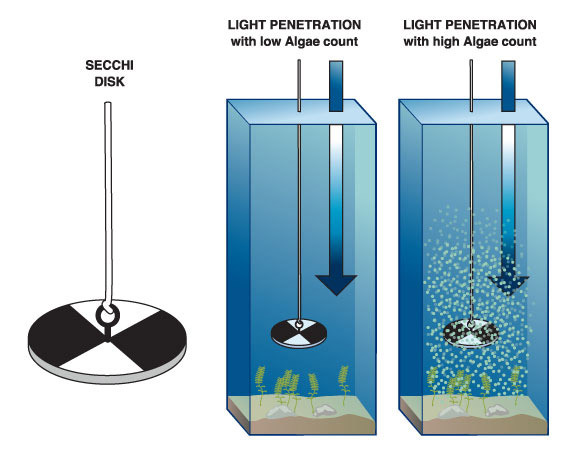 How the secchi disk works.